Hi friends! 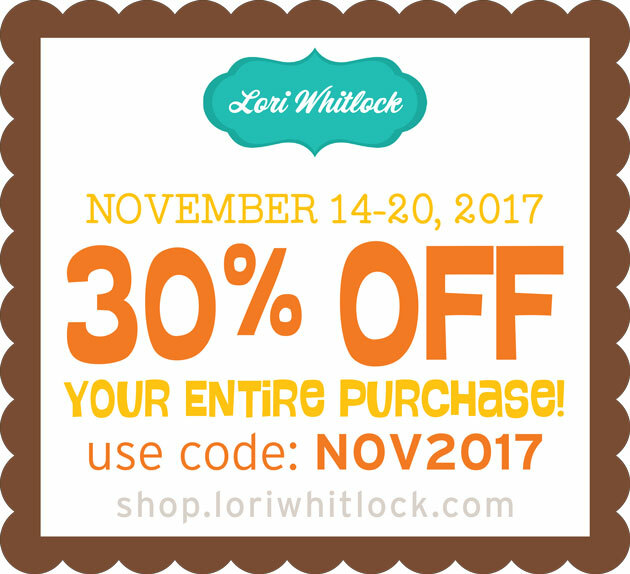 It's time for Lori Whitlock's November Blog Hop and I'm excited to be joining the entire creative team to share some fun projects with you! 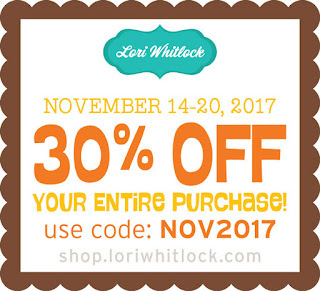 My blog is the first stop on the hop, so be sure to hop back over to Lori's site too, because she has some goodies for you ... a sale, a giveaway, and a cute freebie! 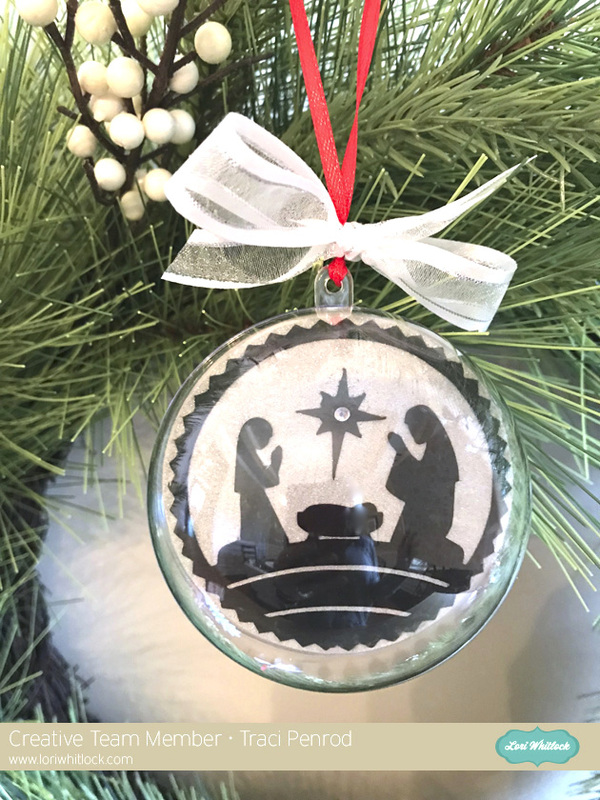 I made a set of Christmas ornaments for my project this time. I found these plastic ornaments at Michael's. They open and have a clear piece of circular acrylic in the center for a photo or embellishment. 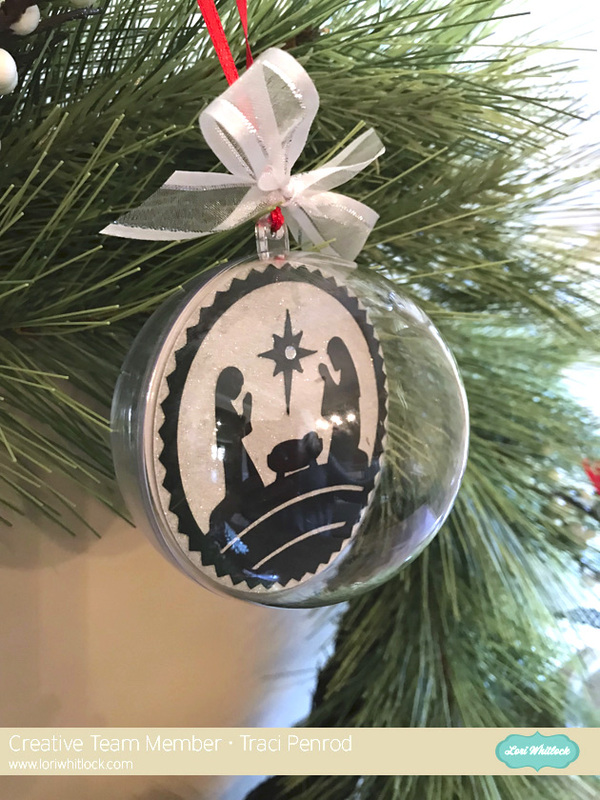 I cut out two 3" circles from silver glitter paper, adhered them to the front and back of the acrylic center of the ornament, and then added Lori's beautiful Nativity circle to each side. 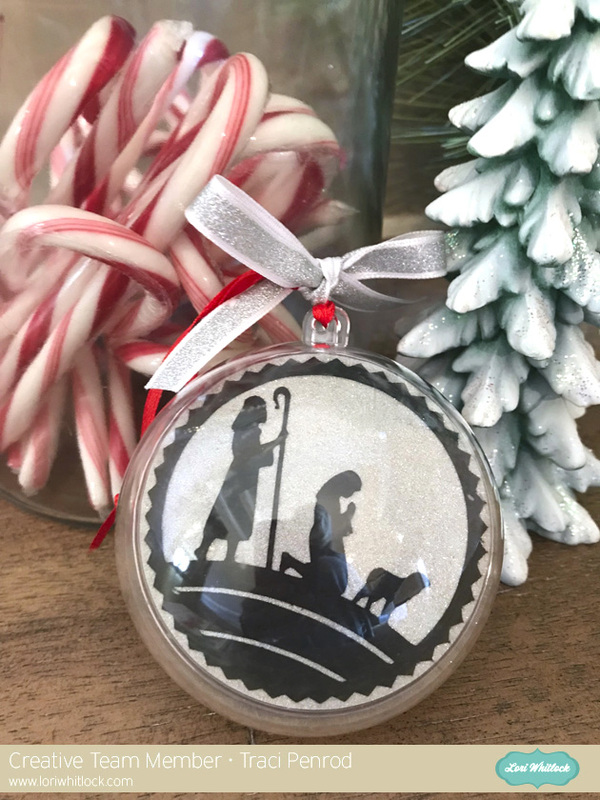 I wanted to be sure the design is shown on both sides when the ornament spins around. All three designs come in a bundle, or are sold separately in Lori's shop here. 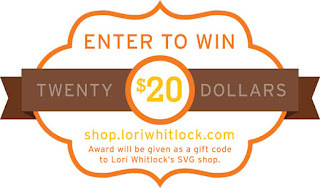 Be sure to visit Lori's blog for her sale, a free file, and a chance to win a gift certificate! 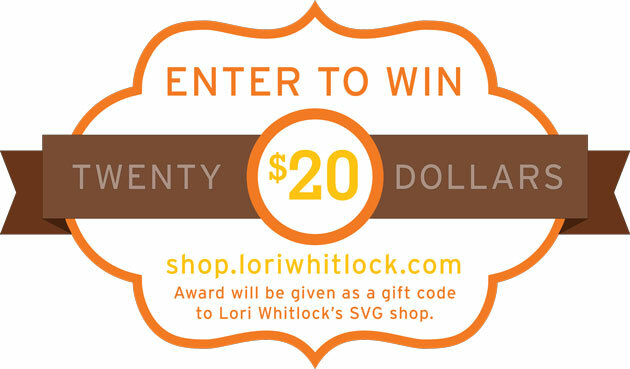 Your next stop on the hop is Kathy's wonderful site! 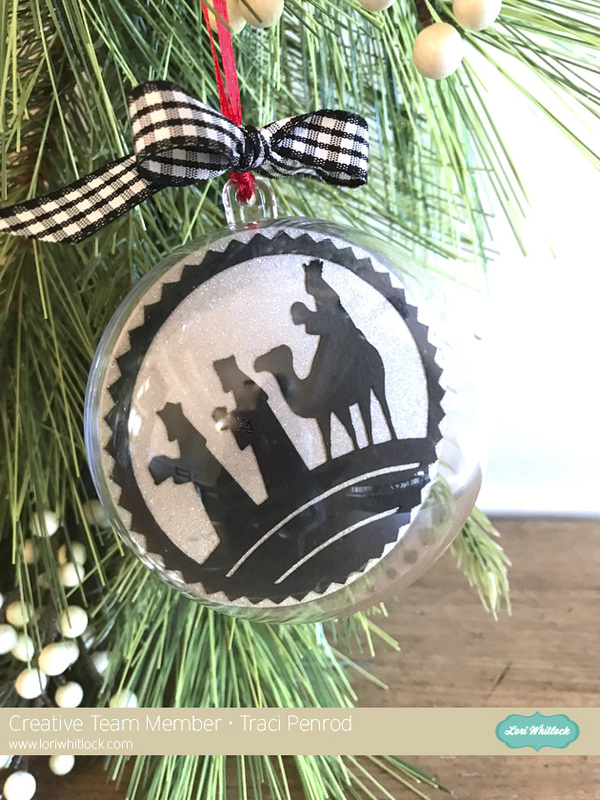 This is a great idea to add a personal touch to ornaments. 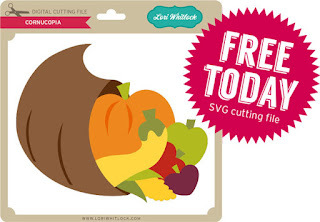 Would make a great gift too. What a clever idea. I really like this. I am not one to do the glitter and vinyl so this is nice.